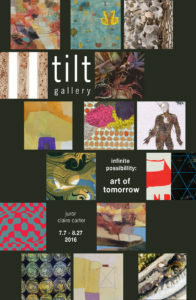 Opening Reception: Thursday, July 7, 7-9pm, during Scottsdale’s International ArtWalk. The juror and some of the artists will be available for conversation. List of artists: James Angel, Alexandra Bowers, Christine Cassano, Simona Gocan, Pilar Hanson, Sandra Klein, Brooke Molla, Elizabeth Odiorne, Paula Riff.